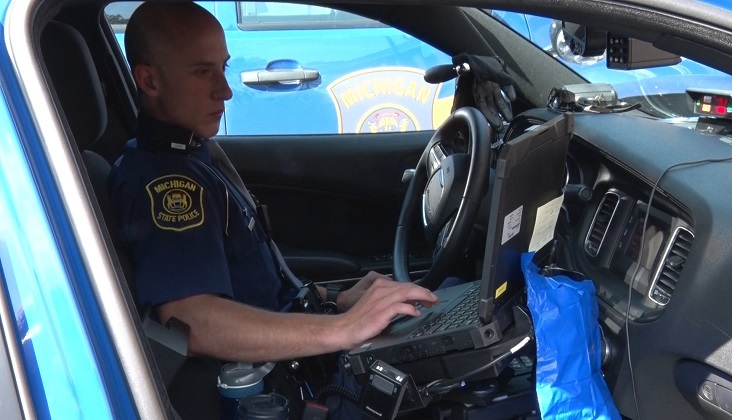 NEGAUNEE — From criminal complaints, traffic enforcement, drug bust and investigations State Trooper Tyler Vargo sees it all. For a short period of time I got to see what he goes through on a daily basis. His job is not only about cracking down on those breaking the law, but also protecting and serving the people. “I enjoy helping people and doing that in many different ways, from helping a traffic crash. Helping people of crimes too, arresting people and taking threats to society off the streets.” said Tyler Vargo, Trooper with Michigan State Police. The Michigan State Police Department is urging drivers to be extra cautious on Labor Day. With the busy traveling season like this they implement operation C.A.R.E which is stands for crash awareness and reduction enforcement. “We focus our enforcement on reducing crashes. We do that through trying to look for drunk driving, drug driving, texting and driving, careless driving, speeding, all your main factors that go into a crash. We like to focus our enforcement on that to make sure everyone is getting that everyone traveling through this busy time can get home safely,” Vargo added. Distracted driving like texting or driving while under the influence are two of the biggest concerns for the holiday season. “There’s people families and yourself driving on the road. Just be safe, if you keep your eyes on the road pat attention. Drive respectfully and carefully and everyone will be perfectly fine,” said Vargo. With Labor Day weekend coming to a close, people should still stay cautious while out on the road. A Mueller report guide to collusion: What is it and what could we still learn?